- One alarm audible & visual user settable with set point view. Alarm relay with NO, C, NC foron-line models. - Recorder output of 0-1 V & 4 to 20 mA forOn-line models. RIGHT CONTROL & INSTRUMENT is the one name, which has been called up by clients repeatedly for the trading of Co / Co2 Analyzer . Acknowledged for their multi tasking utilization are hugely demanded by clients in global markets. The CMA-3330 Carbon Monoxide analyser delivers precise and reliable performance at excellent value. 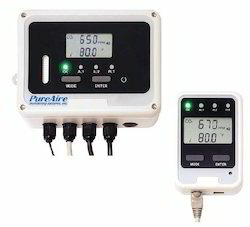 It uses proven NDIR gas filter correlation technology to measure CO in ambient air (LDL <40 ppb, range 0-200ppm). 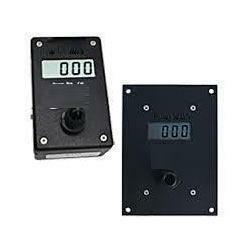 Phoenix Instruments offer Carbon Monoxide (CO) Meter. The Casella Monitor ML 9830 Carbon monoxide (CO) Analyser is a Non- Dispersive Infrared (NDIR) photometer, which uses Gas Filter Correlation (GFC) to measure low concentrations of CO accurately and reliably. Carbon monoxide Analyzer uses non-dispersive infrared gas filter correlation technology, combined with the most advanced microprocessor technology provides accurate, reliable Co ppm level detected, suitable for application of atmospheric monitoring requirements.